More than a quarter of a million votes were cast in deciding the best overseas player of the Premier League era, in a recent BBC poll. From a shortlist of 12 top football players, which included players from every area on the pitch - 3 goalkeepers, 3 defenders, 3 midfielders and 3 attackers, Arsenal legend Thierry Henry emerged to be the winner of the poll, capturing 45% of all the votes. The Frenchman pipped the likes of Cristiano Ronaldo and Manchester City marksman Sergio Aguero, who came second and fourth respectively. 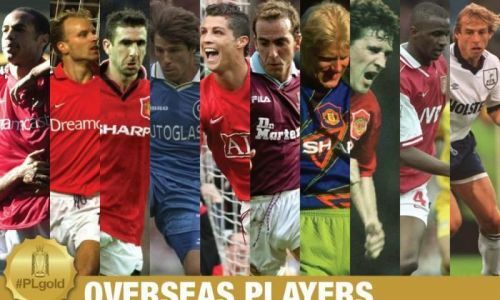 In the inaugural season of the Premier League, a grand total of 13 foreign players made appearances for their clubs in 1992. Over the years, 2,016 non-British and Irish players have graced the top flight, which included multiple World Cup winners as well. The final shortlist of 12 players was provided to the panel which only included the overseas players who had made it into a PFA Team of the Year at some of the time in their career, which is an achievement in itself. BBC's poll for the Best overseas player of the Premier League era was active since yesterday and with players like Drogba, De Gea, Vidic, Ronaldo, Aguero, Henry, Cantona, Viera all in contention for the honor, it was impossible to predict the outcome of the poll. But, when the results came out yesterday, it was revealed that Arsenal's all-time leading scorer and the all-time leading overseas goalscorer Thierry Henry was the clear winner of this title and swept the polls by capturing 45% of all the votes. It must be noted here that Henry has two PL titles to his name, including one in 'The Invincible's' season and he has also won the most Golden Boot awards with four. "Henry is the greatest ever player in the Premier League." Though Henry has been named the best overseas player, the debate on the topic will always go on, with players like Aguero still going strong.